In the late 19th and early 20th centuries, Seventh-day Adventist sanitariums and hospitals established schools of nursing that rapidly earned high regard in their communities as a result of the excellent instruction and training their students received. Patients in those facilities received high-quality care from the students and graduates, and the cycle reinforced itself. In the 21st century, nursing is a popular career choice for young adults, both male and female, in many parts of the world. With a global shortage of nurses and the denomination’s long history of highly rated schools of nursing, Adventist colleges and universities around the world have been eager to establish academic programs in nursing to meet the educational interests of the church’s young people, as well as the health-care needs of citizens in their country. Accordingly, the possibility of a gap between the mission of Adventist nursing education and market-driven motives to attract students and boost enrollment is real.1 It is possible for a college or university to offer a nursing program that attracts a large number of students, yet fails to reflect the values and legacy of Adventist education. This article describes a research project that sought to identify the distinctive values of Adventist nursing from the perspective of Adventist nurses and nurse educators around the world. Its goal was to create a framework that will help new and existing programs to reflect the outstanding legacy of Adventist nursing education. Based on data from 33 countries and 213 respondents, the researchers concluded that Adventist nursing shares three overlapping constructs—caring, connecting, and empowering—that can support and facilitate its global mission. In 1973, the National League for Nursing (NLN) initiated workshops to address how conceptual frameworks influence curriculum development in nursing. A review of 50 accredited baccalaureate nursing programs in 1972 and 1973, revealed that most of the schools were using the concepts of man, society, health, and nursing as the primary focus of their curricula. Since that time, these concepts have been referred to as the core, or metaparadigm, concepts, and are used to depict the phenomena of primary concern for nursing science in both education and practice. To broaden the concept of man, the term was later changed to person or human being, and the concept of society was broadened to environment, to include both social and natural contexts. Reflection on these now-classic documents2 provided a background for developing a project to create a conceptual framework for Adventist nursing in the 21st century. The principal investigators designed a qualitative study to determine what Adventist nurses and nurse educators perceived as distinctive about Adventist nursing in their context and culture. Investigators collected data in 10 of the 13 divisions of the world church, representing 33 countries. Nurses from eight countries were Spanish-speaking, from three countries French-speaking, and the rest were English-speaking. Focus groups of 10 to 15 people encouraged open discussions, which were documented by designated recorders. Analysis and categorization of the data were done according to the principles of qualitative analysis,3 and using the electronic software NVivo 10. The principal investigators then analyzed the data and categorized them according to their relevance to the four essential metaparadigm concepts described above. Continued analysis led to the identification of key concepts and constructs that describe distinctive elements of Adventist nursing, according to the perceptions of the informants. The findings from this analysis provided the foundation for creating a model and conceptual framework that are presented in this article as “An Integrative Global Framework for Adventist Nursing.” The consistency of these concepts across diverse national backgrounds indicates that they are the product of a shared professional culture unique to Seventh-day Adventist nursing education. During 2013 and 2014, 27 focus groups composed of professional nurses and nurse educators were conducted at three international conferences—in Indonesia, Argentina, and Rwanda. Countries represented in the conference in Argentina included Argentina, Bolivia, Brazil, Chile, Colombia, Mexico, Paraguay, Peru, Puerto Rico, and the United States. Participants in the 11 focus groups conducted in Bali, Indonesia, came from Australia, Botswana, China, India, Indonesia, Japan, Korea, Malaysia, Nepal, Pakistan, Peru, the Philippines, Thailand, and the U.S.A. At the conference in Rwanda, six focus groups were conducted with participants representing Botswana, Cameroon, Congo, Democratic Republic of the Congo, Kenya, Liberia, Nigeria, and Rwanda. Prior to the discussions, group facilitators received instructions on how to conduct a focus group and document, summarize, and report their findings to the conference participants. The questions that guided the group discussions are shown in Table 1. Recorders documented in writing what the groups had generated verbally in their discussions and then summarized the salient points discussed in response to the questions. Additional data were gathered via questionnaires at the Adventist International Nursing Education Consortium (AINEC) meeting at Union College in Lincoln, Nebraska, in May 2014, and from Adventist nurse educators in Australia and Papua New Guinea in August of that same year. The same questions were used to facilitate focus group discussions at all the conferences. 1 What is the essence of nursing? 2 What is unique about Adventist nursing? 3 What values and beliefs led you to answer question No. 2 as you did? 4 How does our Adventist heritage affect nursing care? 5 What are the similarities in nursing care across cultural settings? 6 What are the differences in nursing care across cultural settings? 7 Which of the beliefs that you have identified as distinctly Adventist do you see evidenced in the practice of nursing in Seventh-day Adventist institutions? 8 What strategies, approaches, and tools would facilitate integration and implementation of these values and beliefs into the curriculum? 9 What strategies would promote application of these values and beliefs into the practice of nursing? 10 What strategies would facilitate commitment to shared responsibility for translating the values and beliefs from the classroom to the clinical setting? Data collected in Spanish and French were translated into English by bilingual investigators and/or research assistants and entered into the NVivo software program, as were the data collected via written questionnaires. Once all the data were entered, the two principal investigators started to independently analyze and code the information. Data analysis4 began with “open coding,” which involved reading the data line by line and identifying the ideas or nodes therein. Coauthors independently followed the same procedure. “Axial coding” followed the “open coding.” Axial coding is a process by which the ideas or nodes already identified are organized and grouped into categories. First, the nodes were organized into the categories identified by the NLN as the metaparadigm concepts of nursing.5 (The findings are described below.) After this step, other nodes and concepts consistently reported in the data as descriptive of Adventist nursing education and practice were identified. After working independently on the open and axial coding, the two principal investigators worked together to do “selective coding,” which identified the categories with the greatest amount of qualitative data support. These categories were organized according to their relevance to the core metaparadigm concepts of person/human, health, environment, and nursing (practice and education), and were used in developing the global integrative framework for Adventist nursing. Table 2 (page 7) shows selected quotes related to each of the core concepts. The various levels of analysis revealed distinctive concepts describing the metaparadigm concepts of nursing from an Adventist perspective. These are reflected in the stated mission, the descriptions/definitions of the essential concepts, and in the nature of nursing education and practice. Along with these values, researchers identified beliefs and assumptions that provided a platform for the concepts and framework presented here. For example, belief in the sanctity of life, that God is the giver of life, that human bodies are the temples of the Holy Spirit, and that each person is a child of God. Closely associated with these beliefs and values were ethical principles such as the following: Every human being is worthy of dignity and respect; nurses should promote and preserve human dignity; and every human being has a right to live. These deep values and ethical principles were prominent in the data and viewed as foundational to Adventist nursing. Humans were described as created by God and designed to have a personal relationship with Him. Christ admonished His disciples to “‘Abide in me as I abide in you. Just as the branch cannot bear fruit by itself unless it abides in the vine, neither can you unless you abide in me. I am the vine, you are the branches. Those who abide in me and I in them bear much fruit, because apart from me you can do nothing’” (John 15:4, 5 NRSV).8 Based on the data, and on Scripture, the researchers define humans as complex integrated beings—bio-psycho-social-cultural and spiritual—created as interactive beings for the purpose of connecting with God, humans, and all of God’s creation. Comments about health described it as wholistic, including physical, mental, social, spiritual, and cultural well-being, and that communion with God affects health. Ellen G. White advised that it is our responsibility to cooperate with God in restoring health to the body as well as the soul.9 In this article, we define health as integrated well-being nurtured by interconnectedness with God and the whole of creation. Environment, according to the respondents, reflects God’s laws of beauty and harmony (aesthetics), and impacts healing. In the data, nurses were viewed as having a responsibility to conserve the environment, and as being capable of creating a healing environment. Ellen White had much to say about the environment. For example, “The pure air, the bright sunshine, the flowers and trees, the orchards and vineyards, and outdoor exercise amid these surroundings, are health-giving, life-giving.10 Also, “Nature testifies that one infinite in power, great in goodness, mercy and love, created the earth and filled it with life and gladness.” 11 Accordingly, in this article, environment is described as reflecting God’s laws of beauty and harmony; creating a healing environment that inspires hope; and promoting respect, care for and conservation of the environment. In the responses, nursing is described as a sacred calling and a selfless service manifested in providing wholistic care (see Table 2). Ellen White wrote that in ministering to the sick, “success depends on the spirit of consecration and self-sacrifice with which the work is done.”12 In this article, the researchers define nursing as a sacred calling for service to humanity, and a human science that facilitates healing and restoration to well-being through connecting and caring. In the data, nursing education and practice were described as a calling and a ministry. Nurses and nurse educators were described as interdisciplinary, functioning as advocates and agencies of change, empowering the client/student for change, and as role models. The belief that nursing is a call to ministry implies that a nurse educator not only accepts the call but also has an added responsibility to nurture that call in students. Nurturing implies empowering students to grow and develop into caring professionals. Empowerment happens when students feel respected, when learning is facilitated rather than hindered, and when teachers reflect God’s unconditional love. 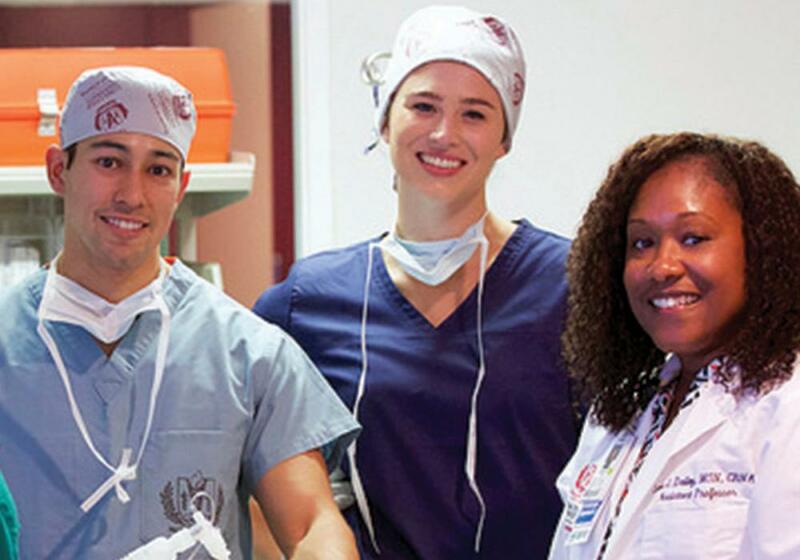 Familiarity with the legacy of Adventist nursing education will influence the educator’s commitment to maintaining and promoting the underlying values and ethic of extraordinary caring for which Adventist nursing education is known. Therefore, Adventist nursing education is built on a foundation of beliefs that humans are sacred because they are created in God’s image, that health is wholistic, and that nursing is a call to ministry. Accordingly, Adventist nurse educators must respect the diversity and uniqueness of each student; reflect God’s unconditional love; facilitate healing and well-being in students; and role model as well as promote wholistic health. Based on these elements in the data, this document suggests that nursing education integrates values, knowledge, and skills; promotes development of clinical judgment and professional competence; and prepares the student for interdisciplinary practice. In addition to the comments about nursing practice mentioned above, other descriptors in the data portrayed nursing as providing humane, wholistic care; promoting connectedness among humans and their environment; and empowering the client for change through education and role modeling. Along with comments that related to the metaparadigm concepts, informants’ responses contributed keen insights about the distinctiveness of Adventist nursing. These ideas and concepts were clustered according to their meaning and significance. Overarching key constructs and sub-concepts emerged, which appear in Tables 4 and 5. In summary, the distinctiveness of Adventist nursing as seen in the mission, education, and practice of nursing is a focus on the sacredness of God’s creation, and on nursing as a call to ministry to promote well-being in all aspects of that creation through caring, connecting, and empowering. Caring has long been the primary focus of nursing practice and has been described as the essence of nursing. Although not limited to one profession or culture, caring is recognized as the fundamental value associated with the discipline of nursing. The fact that Adventist nurses repeatedly referred to “caring” as a primary concept underlying their nursing practice and education affirms the validity of caring in the profession and its centrality in Adventist nursing. The concepts of empathy, compassion, sensitivity to the needs of others, caring beyond the ordinary, and selfless service were among the most frequently mentioned aspects of Adventist nursing by people participating in the study. A number of theorists have selected caring as the core concept from which to develop a theoretical framework for the discipline of nursing.13 In spite of varying theoretical perspectives, most agree that care is a powerful and distinctive attribute of the discipline, and that one goal of nursing education is to develop the capacity to care. In today’s health-care systems, although the ethic of caring is challenged, itis what keeps them human. According to Sara Fry,14 “The very nature of nursing requires and reinforces the ethic of caring”; in order for caring to survive, the values that underlie nursing have to be realized―for example, advocacy and respect for other human beings. Roach15 emphasizes the dual nature of caring—attitudes and values on the one hand, and action on the other. She describes the six C’s of Caring as Compassion, Competence, Confidence, Conscience, Commitment, and Comportment. Roach argues that caring is the human mode of being, and that nursing is the professionalization of human caring.16 Compassion brings sensitivity to the experiences of another person, Competence brings the knowledge and skills necessary to respond appropriately, Confidence fosters trust, Conscience implies moral awareness, and Commitment leads to investment of time for the person being helped. Comportment reflects a sincere attitude and demeanor of concern for the patient’s total well-being―including the spiritual component. Wikberg and Eriksson17 maintain that caring is not only the essence of nursing care, but also the subject of nursing science. They believe that the reason for caring is suffering and the motive of caring is to alleviate suffering. To these authors, caring is not behavior, but a way of living demonstrated in the spirit of the relationship between the caregiver and the care receiver. They describe that spirit as caritative. Eriksson18 explains that caring is not limited to one discipline such as nursing, and that each brings its own understandings and methods to how caring is practiced. The assumptions underlying her theory are compatible with Adventist beliefs. For example, she describes the human being as a religious entity composed of body, soul, and spirit; and says that caring is an act of compassion and love in response to human suffering. The mission of the human being, according to Eriksson, is to serve, to exist for the sake of others.19 Caring is manifested in a relationship to another human being; and such relationships involve ethics, respect, and regard for the dignity and rights of the other. Lead by example in teaching and student interactions. Professors role-model their beliefs and values to students. Demonstrate caring in personal life. Promote healthy living in patients. Advocate for the patient through inter-professional collaboration. The concept of presence was specifically mentioned in the data. Although hard to describe, most nurses know that being fully present for a patient can have a healing effect on the spirit and body of the person needing care. Similarly, therapeutic communication and active listening may be healing interventions. The nurse’s personal relationship with God influences and contributes to this presence, and can be communicated through prayer or even silence. Connecting is a powerful factor in the teacher-student relationship as well. In the data it was clear that mentoring, facilitating, and coordinating learning experiences are necessary. In order for teachers to facilitate learning and to mentor effectively, interactive exchanges are vital for the teacher and student to connect deeply, and for the student to feel heard and understood. We believe in the sanctity of life. • God is the giver of life. • We are temples of the Holy Spirit. • Each person is a child of God. •Every human being is worthy of dignity and respect. •Every human being has a right to live. •Nurses should promote and preserve human dignity. •Nurses advocate and act for the welfare of others. Empowering nurses to provide quality care and improve patient outcomes has been propagated since the beginning of modern nursing by Florence Nightingale.34 Empowerment― possessing the power to have influence over someone or something―is a dynamic concept that permeates all aspects of nursing practice and education. Nurses need to not only be empowered themselves35; it is also their responsibility to empower clients for self-care and wholistic health improvement.36 Nurse educators similarly need to empower students for lifelong learning and ongoing professional development.37 A continuous cycle of empowerment is thus created. Types of power described in the literature include legal, coercive, remunerative, normative, and expert. Nursing is particularly interested in expert power.38 Although knowledge is one of the first steps toward developing expert power, much more is required for empowering than an accumulation of knowledge. In the model presented in this article, empowering involves inspiring and motivating patients and students to reach their goals of being healthy, to challenge existing paradigms, to embrace change, to face adversity, and to persist, overcome, and conquer difficulties in the path to wholistic well-being. Much of the inspiration and motivation needed for empowerment is done through role-modeling and mentoring. The three constructs just described, caring, connecting, and empowering, are actually three processes in which nurses and nurse educators engage when caring for the sick, promoting well-being, and when educating nursing students to become professional nurses. The informants in this research project represented nursing practice and nursing education. Thus, the relevance of these constructs for both nursing care and nursing education is part of the significance of the model as a framework for Adventist nursing. When these three constructs are placed together in overlapping circles, the central component area that they share can be interpreted to represent Adventist nursing (see Figure 1). However, these constructs don’t stand alone. Nursing practice, and education, occur in an environment that incorporates the individual human being, the families with whom the individual interacts, and the communities in which individuals and families live. All exist and function in an environment that encompasses natural, socio-cultural, political, and material aspects. Beyond the individual and environmental contexts is the overarching power of God, the Creator of human beings, the environment, and indeed the universe. Thus, Adventist nursing is viewed from a philosophical perspective that is grounded in a Christian view of the inherent spiritual nature of human beings, who interact with their environment and with God in achieving well-being and wholeness. Accordingly, the constructs depicted in this model provide a framework that can guide the practice of nursing as well as the process of educating students to engage in the ministry of wholistic nursing care (see Figure 1). Caring, for example, reflects the heart and soul of nursing practice. In the data, caring was described as over and above the usual level of care that is expected from a health professional, and as “caring beyond the ordinary.” Such caring emanates from a profound respect for the individual as a child of God, and a deep desire to show God’s love to the person in need. The same is true for the teacher who views students as sons and daughters of God, and respects their potential to grow and become all that God intended. This level of caring implies faith in each student’s ability to learn and a commitment to invest time and energy to help him or her achieve success. Connecting is perhaps the most concrete of the three concepts. Because humans were created as social beings, connecting is crucial to their survival. Being connected with another human being—family, friends, community, and other sources of support— can make the difference in learning, growing, healing, and well-being; however, the ultimate source of all power is connection with God and the Holy Spirit. Empowering, or empowerment, results from assisting the client or student to access the resources needed for recovery from illness, or to achieve healing, learning, or growth. Depending on the individual, resources may include one or more of the basic human needs for food, water, rest, finances, or a place to live. But beyond physical and material needs, it can include a need for hope, faith in oneself, and insights on how to solve a problem. One-on-one mentoring can inspire this hope, as well as clarify or role-model a skill. Beyond the power of human connectedness, whether it be the nurse, educator, client, or student, when the spiritual core of the human being is connected with God, the individual is empowered for healing, growth, and wholeness. The significance of this integrative model and its constructs in relation to nursing education lies in its potential to guide the educational process, including curriculum development, to enhance the relationship between teachers and students, and to reinforce the values on which curricula are based. When integrated into a conceptual framework, these constructs reflect an Adventist perspective of nursing and nursing education, which can have a pervasive influence on the entire educational experience of the student. Therefore, program administrators who seek to prepare new nursing professionals who are ethically grounded in the values identified by Adventist nurses globally, who subscribe to the constructs derived from the data in this research project, and who desire to maintain the legacy of Adventist nursing, can examine this framework for its potential to contribute to achievement of their program goals. For example, in May 2016, the faculty and administrators at Southern Adventist University School of Nursing (SAU) in Collegedale, Tennessee, U.S.A., went through the process of reviewing the mission, philosophy, and framework of their program in preparation for an upcoming accreditation. In so doing, they considered how the proposed new model, although early in its formation, would fit with their mission and guide the achievement of their program goals while simultaneously maintaining the legacy of Adventist nursing. The faculty found the constructs of caring, connecting, and empowering to be entirely congruent with their beliefs about nursing and, as a result, voted to adopt this evidence-based Adventist nursing model as the foundation of their new curriculum framework. After this step, the faculty engaged in the process of adapting it to the specific objectives of their program, focusing on what is essential in the preparation of not only an “Adventist nurse” but specifically a “SAU Nurse,” a step that is congruent with the original intent of the model. In other words, each school that adopts the model has the opportunity to adapt it to focus on the unique qualities of the professional nurse it aims to prepare while maintaining the legacy of Adventist nursing. The evidence-based model presented in this article represents the perspectives of Adventist nurses and nurse educators from 10 divisions of the world church of Seventh-day Adventists. It captures the legacy and mission of Adventist nursing and provides a framework that, when applied, has the potential to guide the development of Adventist nursing education and the preparation of exceptional professional nurses globally. 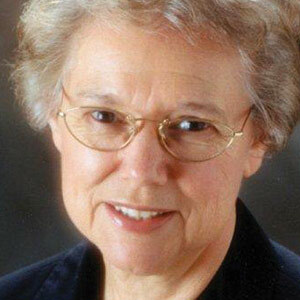 Patricia S. Jones, PhD, RN, FAAN, is Distinguished Emerita Professor at Loma Linda University School of Nursing (LLUSN) and Associate Director of the Department of Health Ministries in the General Conference of Seventh-day Adventists in Silver Spring, Maryland, U.S.A. Dr. Jones has also taught at Adventist University of the Philippines, Hong Kong Adventist College, and Vanderbilt University. She completed a bachelor’s degree in nursing at Walla Walla University, a Master’s degree from Andrews University, and Master’s and doctoral degrees from Vanderbilt University in Nashville, Tennessee. 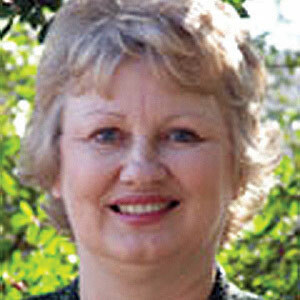 Barbara R. James, PhD, RN, CNE, is Dean and Professor at Southern Adventist University in Collegedale, Tennessee, U.S.A. Her BS in nursing was completed at Southern Missionary College MSN at the University of Texas, Arlington, Texas, U.S.A., and PhD in occupational health and nursing education at the University of Alabama at Birmingham, U.S.A. Dr. James has been faculty at Southern’s School of Nursing since 1991 and dean since 2005. Her research interests are in interprofessional collaborative education via simulation, health promotion, contemporary teaching strategies, and just culture. 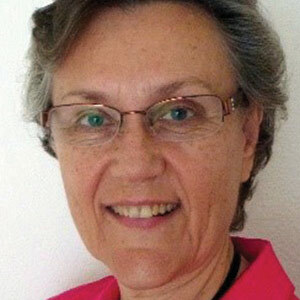 She has a strong interest in curriculum and faculty development with sister institutions both nationally and internationally and has served as co-chair of the Adventist International Nursing Education Consortium―North America and internationally as a site visitor for the Adventist Accrediting Association of Schools, Colleges, and Universities (AAA) and the International Board of Education (IBE). Joyce Owino PhD, RN/M, is a Registered Nurse/midwife. She has worked as a nurse for 30 years in various countries, institutions, and capacities including clinical nursing, community health nursing, nursing research, nursing education, and nursing administration. 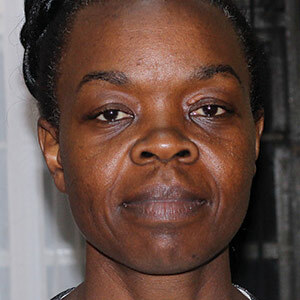 Dr. Owino earned her Master’s in Health and Nursing Studies from Reading University, U.K., and her doctorate in Community Health and Development from Great Lakes University of Kisumu, Kenya. She is a Senior Lecturer in the School of Nursing at University of Eastern Africa, Baraton, where she currently teaches community health nursing, leadership, and management to undergraduate students, and advanced community health nursing, professionalism, and research to post graduate students. She has authored several books and research articles. Marie Abemyil, MSc, RN, RM, is a nurse midwife with a Master’s degree in nursing from Loma Linda University. She has 32 years of clinical experience in leadership positions both in church and public settings, and 17 years of teaching. 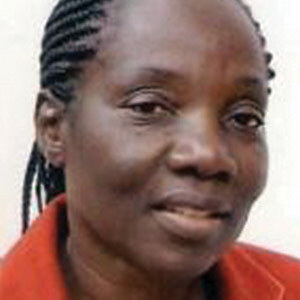 She pioneered higher education in nursing in the Francophone part of Cameroon and Central Africa. In recognition for her services, she has been granted three medals by the Government of Cameroon (Silver, Vermeil, and Gold). At present, she is the Director of the Higher Institute of Health Science at Université Adventiste Cosendai, Nanga-Eboko, Cameroon. 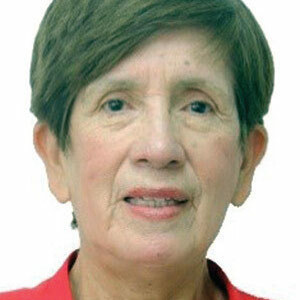 Angela Paredes de Beltrán, RN, PhD, is Professor and Director of the Graduate School of Health Sciences at Universidad Peruana Unión (UPeU) in Lima, Peru. Dr. Beltrán earned her doctorate in teaching and curriculum from UPeU, and has served in several administrative roles such as director of the school of nursing, director of Adventist International Nursing Education Consortium, and dean of the health sciences department. Dr. Beltrán’s most recent publication is Ética Cristiana en la Enfermería (Christian Ethics in Nursing) (Universidad Peruana Unión: Fondo Editorial, 2017). Edelweiss Ramal, PhD, RN is an Associate Professor in the graduate nursing program at LLUSN. She has been a nurse educator for 40 years: 25 of which were spent in Mexico and Botswana, 15 in the United States. Adventist Education 79:5 (October-December 2017): 4-13. Available from https://jae.adventist.org/en/18.1.2. Patricia Jones, Marilyn Herrmann, and Barbara James, “Adventist Nursing Education: Mission or Market?” The Journal of Adventist Education 71:4 (April/May 2009): 10-14. Merk & Co. Inc., “Conversation Map Program. Journey for Control Educator,” (2008): http://educator.journeyforcontrol.com/diabetes-educator; Gertrude Torres, “Curriculum Implications of the Changing Role of the Professional Nurse,” in Faculty-Curriculum Development, Part V. The Changing Role of the Professional Nurse: Implications for Nursing Education (New York: National League for Nursing, 1975). Kathy Charmaz, Constructing Grounded Theory: A Practical Guide Through Qualitative Analysis (Introducing Qualitative Methods Series), (Thousand Oaks, Calif.: Sage Publications, 2006). Ellen G. White, The Ministry of Health and Healing (Nampa, Idaho: Pacific Press, 2004). This is a contemporary adaptation of Ellen White’s book The Ministry of Healing, which was published in 1905. Unless stated otherwise, all Scripture references are taken from the New Revised Standard Version (NRSV) New Revised Standard Version Bible, copyright © 1989 the Division of Christian Education of the National Council of the Churches of Christ in the United States of America. Used by permission. All rights reserved. Ellen G. White, The Ministry of Healing (Mountain View, Calif.: Pacific Press, 1905). __________, The Ministry of Health and Healing, 145. __________, The Ministry of Healing, 301. Jean Watson, "Nursing: The Philosophy and Science of Caring," Nursing Administration Quarterly 3:4 (Summer 1979): 86, 87; M. Simone Roach, “Caring: The Human Mode of Being,” in Caring in Nursing Classics: An Essential Resource, Marlaine C. Smith, Marian C. Turkel, and Zane Robinson Wolf, eds. (New York: Springer, 2013), 165; Madeleine M. Leininger, “Transcultural Care Diversity and Universality: A Theory of Nursing,” Nursing and Health Care: Official Publication of the National League for Nursing 6:4 (April 1985): 208; Katie Eriksson, “Caring Science in a New Key,” Nursing Science Quarterly 15:1 (January 2002): 61-65. Sara T. Fry, “The Ethic of Caring: Can It Survive in Nursing?” Nursing Outlook 36:1 (January-February 1988): 48. Roach, “Caring: The Human Mode of Being,” 165. Ibid. ; Tanya V. McCance, Hugh P. McKenna, and Jennifer R. P. Boore, “Caring: Theoretical Perspectives of Relevance to Nursing,” Journal of Advanced Nursing 30:6 (December 1999): 1388-1395. Anita Wikberg and Katie Eriksson, “Intercultural Caring: An Abductive Model,” Scandinavian Journal of Caring Sciences 22:3 (September 2008): 485-496. Gail Holland Wade and Natalie Kasper, “Nursing Students’ Perceptions of Instructor Caring: An Instrument Based on Watson's Theory of Transpersonal Caring,” Journal of Nursing Education 45:5 (May 2006): 162-168. C. A. Tanner, “Caring as a Value in Nursing Education,” Nursing Outlook 38:2 (March-April 1990): 70; Edelweiss Ramal, “Perspectives and Perceptions: Spiritual Care and Organizational Climate in Christian Schools,” Journal of Christian Nursing 27:2 (April-June 2010): 91-95. Cheryl Tatano Beck, “How Students Perceive Faculty Caring: A Phenomenological Study,” Nurse Educator 16:5 (September/October 1991): 18-22. Gail Wade and Natalie Kasper, “Nursing Students’ Perceptions of Instructor Caring”; Joanne Duffy, “Caring Assessment Tools,” in Assessing and Measuring Caring in Nursing and Health Science (New York: Springer, 2002); Deborah Hatton, “Development of a Tool to Measure Student Perceptions of Instructor Caring,” Journal of Nursing Education 32:3 (March 1993): 142, 143. Christopher Barber, “On Connectedness: Spirituality on the Autistic Spectrum,” Practical Theology 4:2 (April 2011): 201-211. White, The Ministry of Health and Healing, 17. __________, Steps to Christ (Mountain View, Calif.: Pacific Press, 1892), 69. M. Feely and A. Long, “Depression: A Psychiatric Nursing Theory of Connectivity,” Journal of Psychiatric and Mental Health Nursing 16:8 (June 2009): 725-737. doi: 10.1111/j.1365-2850.2009.01452.x. Katie Schultz et al., “Key Roles of Community Connectedness in Healing From Trauma,” Psychology of Violence 6:1 (January 2016): 42. Patricia S. Jones and Afaf I. Meleis, “Health Is Empowerment,” Advances in Nursing Science 15:3 (March 1993): 1-14. Louise Selanders and Patrick Crane, “The Voice of Florence Nightingale on Advocacy,” The Online Journal of Issues in Nursing 17:1 (January 2012): Manuscript 1. Milisa Manojlovich, “Power and Empowerment in Nursing: Looking Backward to Inform the Future,” The Online Journal of Issues in Nursing 12:1 (January 2007): Manuscript 1. Jaquelina Hewitt-Taylor, “Challenging the Balance of Power: Patient Empowerment,” Nursing Standard 18:22 (February 2004): 33-37. Caroline Bradbury‐Jones, Sally Sambrook, and Fiona Irvine, “The Meaning of Empowerment for Nursing Students: A Critical Incident Study,” Journal of Advanced Nursing 59:4 (June 2007): 342-351. Patricia E. Benner et al., Educating Nurses: A Call for Radical Transformation (San Francisco, Calif.: Jossey-Bass, 2009). White, The Ministry of Health and Healing. __________, Medical Ministry (Mountain View, Calif.: Pacific Press, 1932), 115.